Heat skillet over medium high heat. Add olive oil. Spread ¼ pimento cheese onto half of a quesadilla. Add two slices of bacon on top of the cheese. 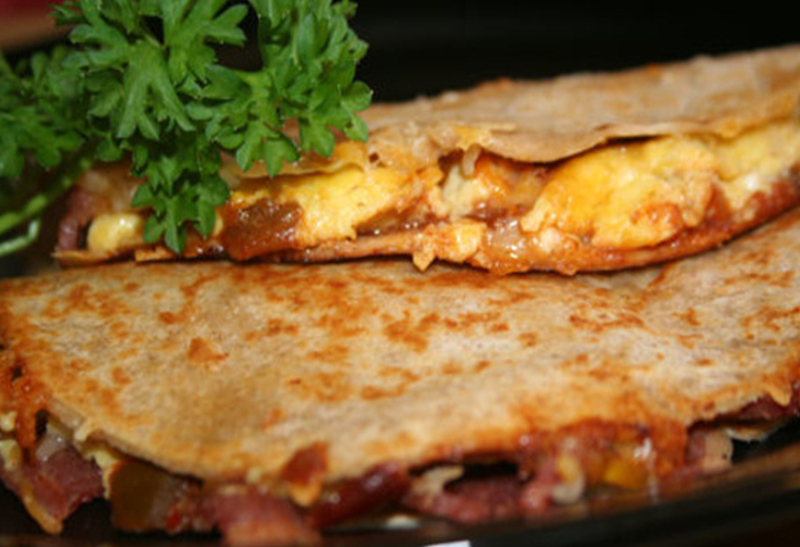 Fold tortilla in half, forming a half circle with filling inside. Add to skillet and cook 1 minute on each side, or until cheese melts and the outside shows signs of browning.